The Best Newborn Photography blogs from thousands of top Newborn Photography blogs in our index using search and social metrics. Data will be refreshed once a week. Also check out Top Newborn Photography Youtube Channels list for Top videos on Newborn Photography. Newborn Photography newsletter is a comprehensive summary of the day's most important blog posts and news articles from the best Newborn Photography websites on the web, and delivered to your email inbox each morning. To subscribe, simply provide us with your email address. Agoura Hills | Los Angeles About Blog Specializing in the Art of Newborn Photography, Maxine is Southern California's Premier Newborn Photographer, Maxine will create stunning, treasured memories to cherish for a lifetime. emories to cherish for a lifetime. Maxine is a Los Angeles based professional photographer with over 20 years of experience, specializing in Newborn, Baby and Maternity Portraiture. Facebook fans 38,287. Twitter followers 970. Framingham, MA About Blog Beyond blogging her work, Ann of Ann Lyle Photography is located in Framingham, Massachusetts and serves the Metrowest and Greater Boston area. Ann Is a professional photographer providing custom photography to all of Massachusetts and Middlesex County. She is a Boston Newborn Photographer, Boston Baby photographer, Framingham photographer, Metrowest photographer. She is trained and specializes in baby photography. Facebook fans 2,196. Twitter followers 13. About Blog Ashley Derr Photography is a custom newborn and birth photographer in the Pittsburgh North Hills area. Ashley Derr Photography has a home studio focusing on newborn and children portraits. Facebook fans 2,307. Twitter followers n/a. About Blog Newborn Sessions are best scheduled within the first twenty days, however my newborn photography style allows us to still get beautiful images beyond this time frame also and in my blog what I try to capture in my photo sessions are the ordinary everyday moments that become extraordinary once you look back at them. Facebook fans 2,428. Twitter followers 4. Columbus, OH About Blog Columbus Ohio newborn baby photographer. Also specializing in children, families and seniors. Facebook fans 2,201. Twitter followers 35. About Blog A Newborn Photography Blog. I am super laid back and love my camera in my hand! When I'm on a shoot, I like to just sit back. I love shooting newborns and babies! Maybe it's because they are flawless and super cute!! But I also love shooting portraits of families and children! Facebook fans 3,777. Twitter followers n/a. North London, England About Blog I specialize in newborn, baby and family photography and I'm professionally trained in newborn safety and posing by UK leading experts in the field. These end up being some of my favourite shots because it is so magical to see how entranced parents are by their little newborn! Facebook fans 6,658. Twitter followers 166. Columbia, Missouri About Blog I am a wife and mother to three children which provides me with the experience and understanding to professional handle your Newborn and Family Photography services. Rachel Demand Photography, LLC. has been my personal business since 2011. I am a Columbia Missouri Newborn Photographer. Facebook fans 2,650. Twitter followers 60. Indianapolis, IN About Blog A newborn photography blog. Kristeen Marie Photography offers photography in Indianapolis, IN & Central Indiana. Quality pictures that will last you a lifetime. Facebook fans 5,610. Twitter followers 1,420. Cleveland, OH & NewYork, NY About Blog Award Winning Photographer Serving Cleveland, New York City and Hawaii. Brittany Gidley Photography LLC specializes in family photography, child photography, newborn photography, baby photography and birth photography. Facebook fans 10,166. Twitter followers 9,397. SF Bay Area About Blog We are a Fine Art Maternity and Newborn Photography studio that specializes in printed artwork. Facebook fans 568. Twitter followers 139. Tustin, California About Blog Pregnancy & Newborn Photographer serving Orange and LA Counties. A native New Yorker Ana works on both coasts providing photography in studio or on location. Facebook fans 148,180. Twitter followers 2,759. Baltimore, About Blog A newborn photography blog where I like giving my photos a romantic and whimsy feel. I love light and airy looking photos, and my editing style vary by season. Facebook fans 13,429. Twitter followers n/a. Orlando, FL About Blog Welcome to my blog. Specializing in Newborn photography in Orlando. Facebook fans 4,345. Twitter followers 808. About Blog Tina specializes in newborn, baby & maternity photography in the Seattle, Tacoma, Puyallup areas. She has been named a Top Tacoma Newborn Photographer for several years. Follow this blog where she shares all her newborn photography ideas and much more. Facebook fans 4,138. Twitter followers 1. Los Angeles About Blog CG Photography is a boutique Los Angeles newborn photographer studio specializing in maternity, newborn and first-year photography. Poland About Blog Neonate, infant and family sessions. We create unique stylizations for neonatal sessions. Each neonatal Warsaw session can be done in your home. San Diego About Blog Natural Light Photographer specializing in Maternity, Newborn & Children. Facebook fans 3,739. Twitter followers n/a. Facebook fans 523. Twitter followers 44. Carlin, NV About Blog Elko NV Portrait Photographer /Kandi Anderson Photography serving all of Elko County, Nevada for your maternity and newborn photography needs. Facebook fans 3,248. Twitter followers 62. About Blog Newborn photographer servicing Bay City, Saginaw, and Midland, Michigan. Newborn photography Mt. Pleasent, Clare, Alma and Harrison, Michigan. Newborn photography Grand Rapids, Troy Michigan. Facebook fans 3,958. Twitter followers n/a. Pittsburgh About Blog Julie Kulbago is the Premier Newborn Photographer for Pittsburgh and the surrounding areas. She has photographed the newborns of professional athletes and professional musicians and most importantly will capture timeless images of your newborn. Facebook fans 2,814. Twitter followers n/a. About Blog To photograph is to stop the time. Photography is a memory. About Blog Portraits by Lisa Ann is a custom portrait studio located in South Florida. We provide a full service portrait experience, taking care of everything from the first phone call to delivery of your finished artwork. Baltimore, MD About Blog Chaya Braun Photography is a boutique Baltimore newborn photographer specializing in custom baby portraits and once in a lifetime memories. Facebook fans 2,397. Twitter followers n/a. Chicago About Blog Abigail is an award winning Chicago newborn photographer specializing in timeless newborn photography, romantic maternity photography, and children's photography. Abigail's baby & newborn photography provides a lasting way to hold onto these earliest precious moments. Facebook fans 17,904. Twitter followers 7. New Jersey / South Jersey About Blog ADC Photography is a premier newborn and maternity photographer in South Jersey. Specializing in newborn, baby, maternity and family photography. Facebook fans 4,121. Twitter followers 116. UK About Blog Simple, natural and relaxed lifestyle motherhood, family and newborn photographer in Cornwall but covering Devon and the rest of the UK. My Mission is simple: giving the gift of beautiful family photographs. Because the days are long but the years are so short. Facebook fans 3,401. Twitter followers n/a. San Diego, CA About Blog Studio Freyja is a San Diego Newborn Photographer specializing in Newborn Studio Photography in San Diego, Ca. Offering San Diego, Maternity Photography, Newborn Photography, Family Photography and Milestone Child Photography. Check out my latest gorgeous newborn, Maternity and Family Portrait photo shoots on the blog that have taken place in my San Diego studio. Texas About Blog Lynette is located in Lubbock Texas, she has babies travel in from all areas for her to photograph them. Her goal is to make your newborn session a wonderful experience for you and your sweet baby. Facebook fans 9,562. Twitter followers 408. Brighton, Sussex. About Blog Trina has been specialising in Newborn Photography & creating beautiful works of Photographic Art for her clients since 2010. 6 month old Sitter Sessions, cake smashes to celebrate babys first birthday & Babys first year plans have also been a huge hit with her clients. Honey Pie Photography has grown to create meaningful portraits & lasting memories of your little one as they grow. Facebook fans 7,851. Twitter followers n/a. San Francisco About Blog Shefali Parekh is a San Francisco Bay Area maternity, newborn, and family photographer specializing in beautiful lifestyle photography. Facebook fans 2,160. Twitter followers n/a. Tasmania About Blog Tasmania's most popular newborn photographer. Megan is based is the quite town of Somerset on Tasmania's North West Coast. She specialises in newborn photography and loves creating images for you and your family. Facebook fans 3,487. Twitter followers n/a. Burlington, ON About Blog Artistic Burlington photographer, specializing in Newborn, Children, Maternity & Family Photography. Facebook fans 835. Twitter followers 15. Hampshire About Blog Hello and welcome to my site!I'm Libby and I'm an experienced newborn and baby photographer. My passion is capturing those cute little dimples and curls, long eye lashes and rosy lips, chubby rolls, fingers and toes. Chicago, IL About Blog I specialize in newborn, baby, and family photography in the greater Chicago area. I've been photographing newborns for over 4 years, and LOVE what I do. Facebook fans 4,459. Twitter followers 214. About Blog Nancy is a newborn art professional who specializes in the art of organic styled newborn, child and family photography. Facebook fans 6,242. Twitter followers n/a. Simi Valley, California About Blog A Newborn Photography Blog. I'm here to help stylize and create beautiful images your family will cherish for a lifetime! Facebook fans 2,827. Twitter followers 6,415. About Blog Newborn Photographer capturing memories for families who want meaningful, beautiful images. About Blog My name is Jill Geisler. I am a mom to three of the coolest daughters ever, and two amazing sons. I Love children and snuggling a newborn. A photographer with a continual vision. Facebook fans 5,320. Twitter followers n/a. Charlotte, NC About Blog Beth Wade is a Charlotte, NC newborn, baby and maternity photographer specializing in artistic, natural, dreamy family photography. Serving Lake Wylie, North/South Carolina. Facebook fans 6,468. Twitter followers 2,618. About Blog Brandy Lewis is a natural light Asheville Family Photographer specializing in newborns, babies, children, maternity and families. Northern, VA About Blog Little Moon Photography is Virgnia's premier newborn photographer specializing in modern, organic natural light portrait photography. Amber Maness of Little Moon Photography has become one of the most sought after newborn & baby photographers on the East Coast. Facebook fans 20,474. Twitter followers 798. About Blog Blessed Moments Photography is an Alamogordo photographer who does Maternity, newborn, smash cake, children, family portraits and much more. Facebook fans 1,334. Twitter followers n/a. Canada About Blog Amanda Dams is one of the top-ranked newborn photographers in Vancouver, Richmond, Burnaby and Surrey. She is specialized in baby, cake smash and newborn photography. Facebook fans 14,600. Twitter followers 133. Miami, FL About Blog I'm Cary the face behind Cary Diaz Photography. Pictures are extremely important to me. My children's photos are my most prized possesions. When they are more grown up than I ever want them to be, I want to remember their incredible smiles and their oh-so-adorable faces. I started Cary Diaz Photography to create your story of what inspires you to live. Facebook fans 7,786. Twitter followers 202. Chicago, IL About Blog Hello, and welcome to Hannah Drews Photography! I am a Chicago-based photographer specializing in newborn, child, & family photography. I love being able to capture those fleeting sweet childhood moments as well as any poignant milestones in your life. Facebook fans 6,286. Twitter followers 10. Charlestown, Mayo, Ireland About Blog Welcome to my Blog. I am a fine art baby photographer based in Charlestown, co. Mayo and proudly serving families all over Mayo, Sligo, Leitrim, Roscommon, Galway & beyond. Facebook fans 5,034. Twitter followers 66. Seattle WA About Blog Sandra Coan is an award winning maternity, newborn and family photographer, obsessed with film and babies. Facebook fans 3,813. Twitter followers 352. About Blog Welcome to Saren Cassotto Photograph. I started into professional portrait photography having been inspired by my own two loves, Red & Gracey. My passion is newborns and babies through their first year but I love photographing all children and families too. I hope you'll find some inspiration from this page. Facebook fans 4,974. Twitter followers n/a. About Blog udrey Spear creates timeless works of art your family will love for years to come. She specializes in newborn and baby portraits, and also offers maternity, child and family photography among the gorgeous Bay Area landscape or in the comfort of your own home. Facebook fans 2,010. Twitter followers n/a. SD, OC, LA, KC, DSM, Chicago About Blog Sweet Me Photography offers affordable in-home newborn photography sessions so more parents can enjoy beautiful portraits of their baby's first days of life. Sweet Me Photography will capture the first moments of your baby's life so you can treasure them for a lifetime. Facebook fans 2,304. Twitter followers 22. Brisbane, Queensland About Blog Luisa Dunn is a Brisbane-based portrait photographer specializing in the art of newborn and baby portraiture. Her gentle and timeless work has seen her win multiple awards at state and national levels. Luisa is an accredited member of the AIPP (Australian Institute of Professional Photographers). Facebook fans 37,161. Twitter followers 37. Portland About Blog Erin Tole offers professional newborn photography services in Portland as well as newborn mentoring and photography workshops nationwide. Facebook fans 87,230. Twitter followers n/a. Hartland, MI About Blog A newborn photography blog. I really, really love people, and I really, really love to photograph. About Blog I’ve been a photographer for close to 20 years and I love what I do! I’m honored to have the opportunity to capture the best moments in a child’s’ life and preserve them for a lifetime, from pregnancy to birth, on to high school graduation! Facebook fans 2,929. Twitter followers n/a. Vancouver About Blog Rachel Yoon specializes in MATERNITY, BABY, and NEWBORN Photography in the Greater Vancouver area. We believe that the opportunity to capture the memory of your baby in the first year is too precious to miss. Facebook fans 1,934. Twitter followers 79. NYC About Blog Brooklyn newborn photographer Picture Perfect NY specializes in maternity, baby & newborn photography; Serving NYC, Brooklyn, Long Island & surrounding areas. Facebook fans 2,417. Twitter followers n/a. About Blog Orange County Newborn photographer specializing in newborn, baby, maternity and child photography. Providing unique and creative images. Ontario About Blog Sandra Hill Photography is a Newborn Photographer serving the areas in and surrounding Ontario Canada. It is my passion to create beautiful and pure images of your perfect newborn baby. Facebook fans 409,804. Twitter followers n/a. San Diego About Blog San Diego Newborn and Family Photographer, All Colors Photography specializes in maternity, newborn, child, cake smash, and family photography. Our focus is to create a natural style and comfortable connection to every session. Facebook fans 3,877. Twitter followers n/a. Minneapolis, MN About Blog JM Photography is an award winning Minneapolis newborn photographer serving all of the Twin Cities and surrounding communities. Facebook fans 6,320. Twitter followers 1. Facebook fans 862. Twitter followers n/a. New Jersey About Blog Silveira's Touch Photography specializes in custom newborn, children, family, and maternity portraiture. I've been capturing beautiful families and newborns since 2009 and travel to many surrounding areas of Morris. I create timeless images that last beyond a lifetime. Facebook fans 1,820. Twitter followers 51. Facebook fans 2,529. Twitter followers 166. Austin, Texas About Blog Austin Newborn Photographer Haley Grant specializes in custom Newborn, Maternity and Child Portraits. Serving surrounding areas with over 6 yrs expereience. Facebook fans 3,225. Twitter followers 208. About Blog I'm a Newborn Baby Photographer with lots of experience and LOVE to what I do 🙂 I Also love photographing women in a glamorous way, showing them how beautiful they truly are! Based on the above the images I love most is the ones with Mother and Baby together, it's a perfect combination of my true passion, and I get goosebumps when I capture those images! Blog by Dina Duchan. Facebook fans 3,263. Twitter followers 19. Minneapolis, MN About Blog Alicea Rose Photography specializes in classic, beautiful and timeless newborn, baby and maternity photos. First Year Baby Plan packages and all digital package pricing. About Blog A Chattanooga photographer specializing in natural and organic maternity, newborn, baby, child and family photography, Sweet Caroline Photographie serves Chattanooga, Cleveland, Ooltewah, Hixson, Signal Mountain, Lookout Mountain, TN. Atlanta About Blog I am a wife, a mother to two beautiful girls, a daughter, a marketing consultant and a photographer. I am passionate about all of it. I adore capturing life's indelible moments in a photograph...a look, a smile, a simple moment that I don't ever want to forget. Helping others capture these moments in time brings me great joy. Dublin, Ireland About Blog I am a fully insured newborn, baby and family photographer from South Dublin, Ireland. I'm visually driven, a little obsessed with documenting every single detail and currently addicted to anything made by Bravo. Facebook fans 414. Twitter followers 1,223. Gaithersburg, MD area About Blog I am originally from NY and have been in MD for over 10 years. I specialize in photographing newborns, families and maternity. Photography is my passion and I feel very lucky to be able to do what I love everyday. North Waltham, Hampshire About Blog Maria Murray launched Sweet Bambini to showcase her newborn and maternity photography. Maria has been at the forefront of newborn photography since she won UK photographer of the year in 2006, although she has been photographing babies for nearly 9 years. Maria is regarded by clients and her peers as the leading newborn and baby photographer in the UK. Facebook fans 2,724. Twitter followers 879. Perth, Western Australia About Blog Hi there and welcome to my Blog on Perth Newborn Photography sessions! I am a natural and studio light photographer and my specialities are: pregnancy, birth, newborn baby, family and child photography. Facebook fans 23,299. Twitter followers 107. 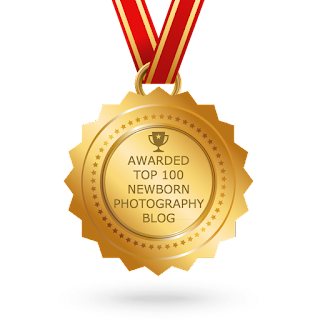 New York About Blog Little Love Stories is a published & award winning photography studio in Northern New Jersey specializing in maternity, newborn, and family photography. Facebook fans 1,657. Twitter followers 272. Seattle About Blog My specialty is custom portrait photography including newborn photography, maternity photography, family photography, and child photography in Seattle, Bellevue, Everett, and the surrounding areas. Facebook fans 4,934. Twitter followers 19. About Blog Butterfly Kiss Photography Specializes in Beautiful newborn, baby, family and maternity photography. Our service areas are Tacoma, Puyallup & Bonney Lake. Facebook fans 4,291. Twitter followers n/a. About Blog A newborn photography blog. I have been specializing in newborn photography since November of 2008. Facebook fans 19,247. Twitter followers n/a. Milwaukee, WI About Blog My blog is a newborn photography blog and I have always loved capturing memories through photography. Having treasured images of your family's beautiful moments is an investment of time, energy and love that you will never regret. Facebook fans 1,559. Twitter followers 111. Adelaide, Australia About Blog Newborn, Baby, Children & Family Photography. Specialist Adelaide Newborn photographer. Based in Adelaide, South Australia. Newborn photos you'll treasure. Facebook fans 1,358. Twitter followers 1,247. Rastrick, England About Blog Laura Haley Photography specializes in natural light baby, children, and wedding portrait photography in and around San Antonio, Texas. Facebook fans 2,251. Twitter followers 90. Lambley Nottingham NG4 4QL About Blog Sarah specializes in newborn photography and also offers maternity, baby, children and families, at her studio based within the heart of Floralands farm park and Garden Village. Facebook fans 6,242. Twitter followers 714. About Blog Tucson's Premier Newborn & Family Photographer. Tucson's best on-location, natural light family and newborn photographer, specializing in maternity, newborn, baby, and family photography. Facebook fans 2,433. Twitter followers n/a. About Blog I chose to start a photography business, because one of my favorite things to do is looking through our old photo albums and reminisce about those days. We all anxiously await the birth of a baby, their first laugh, their first day birthday, but those moments pass so quickly. Charlotte, NC About Blog Erika Michelle, a Charlotte NC photographer specializing in newborn, maternity, children and family photography. Serving Charlotte and Gaston NC, York SC. Facebook fans 1,017. Twitter followers n/a. New Albany, OH About Blog Klfrost Photography is a Central Ohio's Boutique based photography blog which specializes in Newborn & Family Photography. Facebook fans 1,616. Twitter followers 1. New Jersey About Blog Stinsman Photography LLC blog that highlights our work as a New Jersey Newborn, Maternity and family photographer. London About Blog Sue Greetham Photography blog is one of the UK’s leading newborn, baby and children photographers. Sue specialises in maternity, newborn, baby, children and family photography. Her playful and relaxed shoots are either in the studio or on location in the form of a lifestyle shoot. Facebook fans 726. Twitter followers 404. Ithaca, New York About Blog My Newborn Is Art Photography Blog is a beautiful fine art newborn photography, serving Central New York and the surrounding areas. Facebook fans 25,322. Twitter followers n/a. Missouri About Blog Stephanie Cotta is an award-winning newborn and family photographer based in St. Louis, Missouri. Stephanie has proven to be one of the most successful and sought after photographers and educators in the industry. She hosts newborn mentoring workshops in her photography studio and also travels nationwide for newborn and mentoring sessions. Facebook fans 47,250. Twitter followers 215. Tulsa, OK About Blog Ann Bennett is a Tulsa area photographer specializing in newborn and maternity studio photography as well as outdoor, natural light high school senior portraits. Ann's style is simple, clean and classic. Facebook fans 3,461. Twitter followers 85. Brisbane About Blog Natural light photographer based in Brisbane South, specialising in maternity, newborn, baby and family photography. Facebook fans 2,184. Twitter followers n/a. Bethesda, MD About Blog Carrie is the Premier Family & Newborn Photographer in the Washington DC & Bethesda Maryland area. Facebook fans 507. Twitter followers 43. Miami Beach, FL About Blog Claudia Fortuna is a Miami photographer specializing in family, child, baby and newborn photography in South Miami. miami newborn photographer. Facebook fans 702. Twitter followers 4. About Blog I'm Emily, a birth photographer, and baby snuggler aka: newborn and maternity photographer! Northern Virginia's Premier Birth Photographer specializing in Birth Photography, I am not the photographer that looks to capture the perfect picture, just the perfect picture of your birth story, your family, and your newest little ones! Guildford, England About Blog I’m a full time photographer living on the Surrey / West Sussex border with my ginger bearded hubby, four crazy kids and bonkers dog. I am a professional family and newborn photographer providing quality, natural portrait photography for your family. About Blog A Newborn Photography Blog. Facebook fans 1,136. Twitter followers n/a. About Blog Timeless and beautiful photography capturing love, new life and perfect tiny humans. Our mission is to illustrate your life, love and relationships in beautiful pictures. Facebook fans 3,629. Twitter followers n/a. British Columbia, Canada About Blog Heather has photographed over 60 newborns and has recently attended a 2-day 1:1 mentoring with a premeir newborn photographer in Wasington. She is always educating herself and belongs to a few online eworkshop groups that teach safety and posing. Facebook fans 4,047. Twitter followers 41. About Blog Oahu Hawaii photographer specializing in newborn & children, family, maternity, seniors & portraits, couples & engagement, weddings and more! Facebook fans 4,663. Twitter followers n/a. About Blog A Fine Art Newborn and baby portraiture blog. Facebook fans 15,045. Twitter followers n/a. San antonio, tx About Blog San Antonio's Premier Newborn Photographer. Krystal Garcia Photography has been a Photographer in San Antonio & Surrounding areas for over 7 years and photographs Newborns, Maternity, Family and Cake smash sessions. She offers unique and customized photography that will be timeless in your home. Facebook fans 6,974. Twitter followers 20. Spring, TX About Blog San Antonio Newborn Photographer. Houston Newborn Photographer. Jenny Miller Photography specializes in newborns, family, children and maternity photography in Houston and San Antonio. Facebook fans 2,416. Twitter followers 34. About Blog A blog specializing in newborn photography. Facebook fans 2,546. Twitter followers n/a. Oregon About Blog Mandy Kay Photography is a natural light portrait photographer specializing in newborn photography based in Southern Oregon. Facebook fans 8,603. Twitter followers 80,699. Bath, UK About Blog Beautiful newborn and child photography based in Bath, United Kingdom. Marina Feldman is an experienced photographer specialising in newborn babies and children photography and in bespoke wedding portraiture. Facebook fans 980. Twitter followers 52. About Blog Hello, I’m Cassandra, a Christchurch-based photographer who is passionate about small humans and getting creative. I specialise in the art of newborn and baby portraiture. I am a wife and a mum to todler Hazel and baby George. Facebook fans 7,600. Twitter followers n/a. Facebook fans 9,495. Twitter followers 44. Attleboro MA About Blog Piggy Toes specializes in newborn and baby portraiture, capturing your sweet baby during his very precious first year of life. I am trained in newborn posing and safety, and fully insurance. Facebook fans 7,556. Twitter followers n/a. Coquitlam, British Columbia About Blog Hello! My name is Mary and I am a Vancouver based Maternity and Newborn baby photographer, with over 20 years of photography experience. We specialize in newborn baby photography, maternity photography, family photography and children photography. Facebook fans 13,834. Twitter followers 2. Brigham City, UT About Blog Two Color Photography in Brigham City specializes in everything photography involving your newborn - maternity, baby, and children photography. Facebook fans 9,585. Twitter followers 59. Elma, NY About Blog A Newborn Photography Blog. Berkshire About Blog Anna Hurst is an Award Winning Newborn Baby Photographer, specialising in Newborn Baby Photography. Her style is heart-warming and simplistic and her approach is creative and unique, with the aim of capturing exquisite images of your little one in a beautiful and personal way. Facebook fans 2,661. Twitter followers 113. About - I specialize in newborn, baby and family photography and I'm professionally trained in newborn safety and posing by UK leading experts in the field. These end up being some of my favourite shots because it is so magical to see how entranced parents are by their little newborn! About - Follow my Newborn Photography blog for my latest news and newborn photography shoots. About - I am a specialist Newborn and baby photographer in Wellington, Somerset. I specialize in the art of newborn photography. I also offer maternity portraits along with child and cake smash sessions. Sue Greetham Photography Blog | One of the UK’s leading newborn, baby and children photographers. About - My name is Owain Thomas. I'm a Welshman raised in Cornwall who now resides in Plymouth, Devon with my wife Cathy and young son Gethin. I am an ultra runner however I love all distances and can be found running and directing my local parkrun at Plymvalley.